Comments: The Tekken is the latest AEG from KWA's innovative Ronin rifle series. 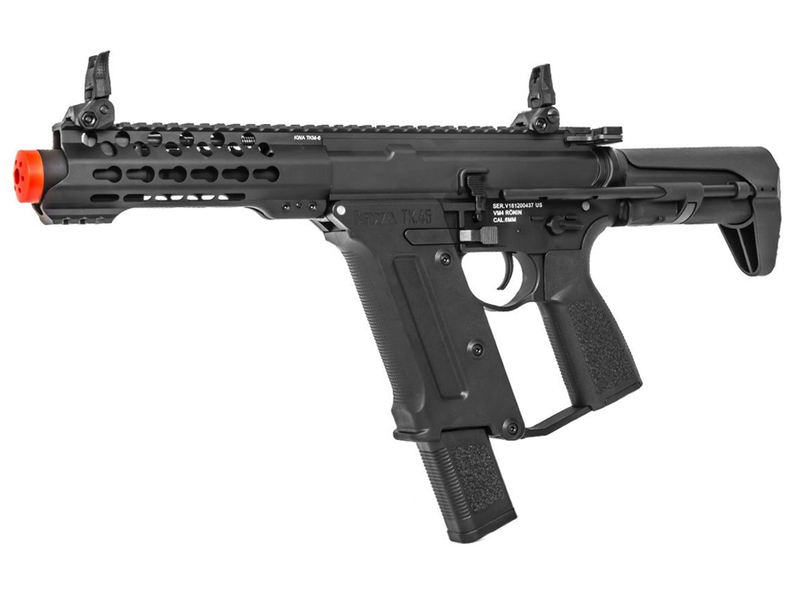 The TK.45c is a CQB model with a compact, ultra-agile body and KWA's exclusive Variable Performance System which makes it fast and easy to adjust your muzzle velocity. 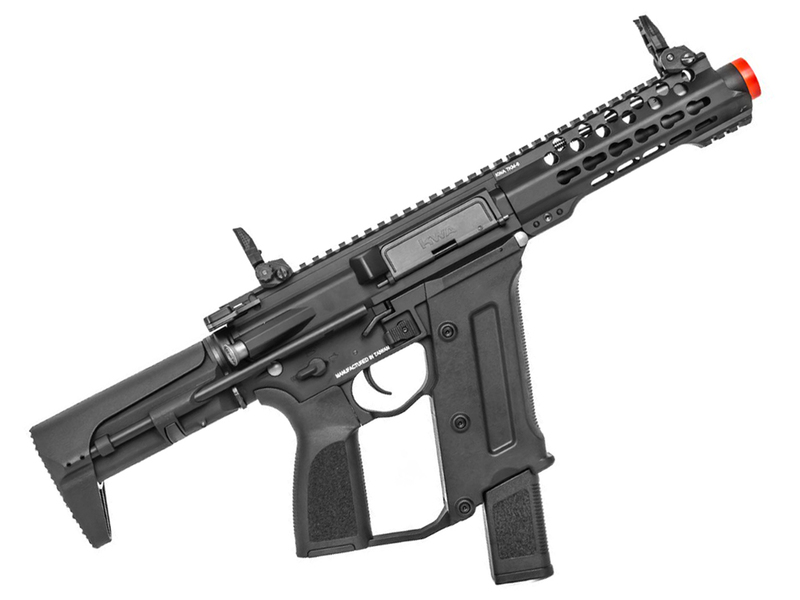 The unique design includes eye-catchiing details like a mock suppressor, PDW stock, a free floating aluminum KeyMod rail, and PTS Enhanced Polymer flip-up sights. The full length optics rail and quick-change spring system adds even more customizability. Batteries and charger not included.